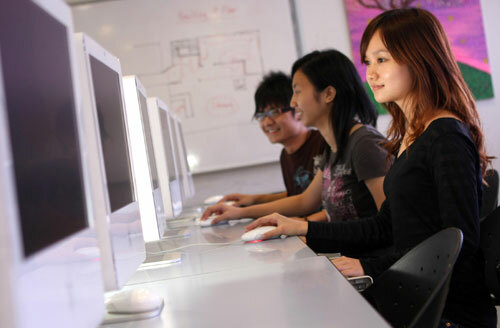 INTI International College Subang is offering two degree programmes that will empower students with not only fundamental knowledge of the creative arts but also the skills to thrive in the exciting and challenging creative design arena. Through the BA (Hons) Graphic Design and BA (Hons) Interior Design programmes offered in collaboration with the UK’s Sheffield Institute of Arts, part of Sheffield Hallam University, students will acquire cutting-edge knowledge and skills in their respective fields in addition to the necessary conceptual, communication and problem-solving abilities to succeed. INTI’s creative arts students are groomed via diverse learning opportunities. The 3+0 BA (Hons) Graphic Design programme allows students to develop a portfolio of ideas to enter and challenge the graphic design industry. They will learn about the core principles of graphic design and its application across a range of sectors. They will also have the opportunity to explore advertising, illustration, motion and interactive, or traditional graphic design. “The focus for students will be on generating new and memorable ideas that form the basis of their creative process. This comes with the opportunity to enhance their career prospects by taking part in international competitions, live briefs and work placements. In addition, there are opportunities for residential study trips at home and abroad, complemented by visits to design conferences and professional design association events,” said Anis Laila Yap, Dean, INTI Centre of Art & Design. The 3+0 BA (Hons) Interior Design is also a creative and challenging programme where students will develop a range of practical and intellectual skills that allows them to develop an inventive problem-solving approach to their work. Studio-based learning enables them to develop creative and technical skills, and opportunities to visit design consultancies, industrial facilities, museums and exhibitions contribute to the development of a deeper contextual and industrial understanding of interior design. As both degrees can be fully completed at INTI, students have the opportunity to earn a prestigious internationally recognized degree without having to incur the high cost of tuition and living expenses usually associated with pursuing tertiary level qualifications abroad. Upon successful completion of the graphic design or interior design course, they will be awarded a degree by Sheffield Hallam University. “INTI’s Centre of Art & Design provides an excellent and exciting environment for students to grow in. Its facilities are comparable to what we have in the UK and there’s a very high level of commonality between our programmes. I think all the ingredients are in place for INTI and its creative design programmes to develop and thrive,” said Professor Roger Eccleston, Pro-Vice Chancellor for the Faculty of Arts, Computing, Engineering and Sciences (ACES) at Sheffield Hallam University. Guided by a dedicated team of highly qualified and experienced design instructors, INTI’s students are groomed to be part of a new generation of trend setters and designers in the art & design industry. Their international exposure, innovative learning and individual development are enhanced through participation in competitions, industry projects, international study trips and practical training with established local and foreign organisations. A compulsory internship programme provides additional opportunities for workplace learning and career networking. To learn more about INTI’s creative arts programmes, please call 03-5623 2800.